A.J. Raffles has left the country in mysterious circumstances. Harry “Bunny” Manders is left back in London, to worry about his friend and listen to all sorts of rumours concerning his sudden disappearance. Bunny has troubles of his own however. The father of Lucy Rosebery, Prescott Rosebery, will not consent to his daughter marrying someone with so little social standing and income. 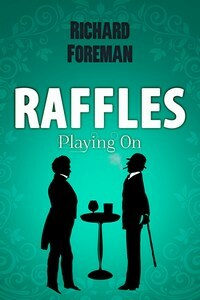 Raffles suddenly returns though – and one of his first tasks is to arrange a cricket match against a highly accomplished team, captained by Prescott Rosebery. The teams will be playing for more for than just pride however – and even the great Raffles will have to call upon a special player to help him win the day. Raffles: Playing On is filled with the trademark warmth, wit and twists that have helped define this bestselling historical crime series so far. Endeavour Press is the UK’s leading independent publisher of digital books.